Dive in and swim with the summer fun of S'no Joke Water Sports. We offer our members a variety of water sports including, scuba diving, rafting, kayaking and floating. 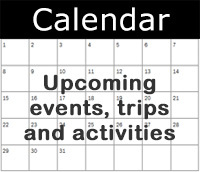 Check out the Events Calendar and join other members for a fun-filled summer! Trip destinations include Roatan, Fiji and other exotic locations. Club members organize and lead these memory building trips. Are you looking for heart-pounding whitewater and breath-taking thrills? Our members organize white-water trips down the Yakima, Wenatchee, Skykomish, Grand Tieton, and many other rivers. 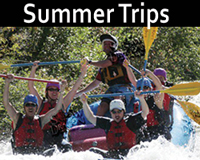 Add rafting the Methow River, Grand Canyon and other rivers to your list of summer trips. Join S'no Joke members on these organized trips through beautiful landscapes and build lasting memories. Do you enjoy kayaking? Join our club members as we paddle around Alki, Lake Union and other waterways in the Pacific Northwest. We also enjoy water skiing and wake boarding. After a long day, relax and mingle with other club members at one of our pool parties or ship cruises. Don't Miss Out – Join Now! Ready to Join? Click on the Join Now button and start enjoying the benefits of membership.